Zahrah 1 Hose Stylish Hookah With Case. 26". 1ct. 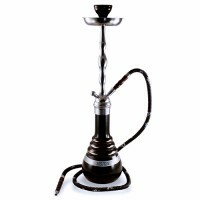 This Modern Hookah is 25.9" tall and delivers a..
Zahrah 4 Hose Adapter Classic Hookah. 28". 1ct. This Classic Hookah is 28 tall and delivers a smo.. Triple Cup Hookah. Color May Vary. 29". 1ct. ..
Ram 4 Hose Rotating Hookah. 34". 1ct. 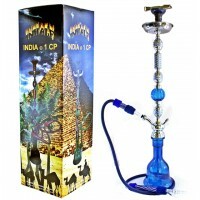 ..
Inhale India 1CP Hookah Blue. 43". 1ct. ..
Inhale India 1CP Hookah Green. 43". 1ct. 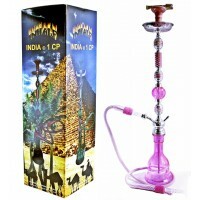 ..
Inhale India 1CP Hookah Pink. 43". 1ct. ..
Inhale India 1CP Hookah Purple. 43". 1ct. ..